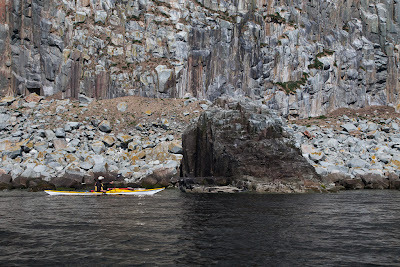 Exploration of the Water Cave, Kennedy's Nags and Little Ailsa. 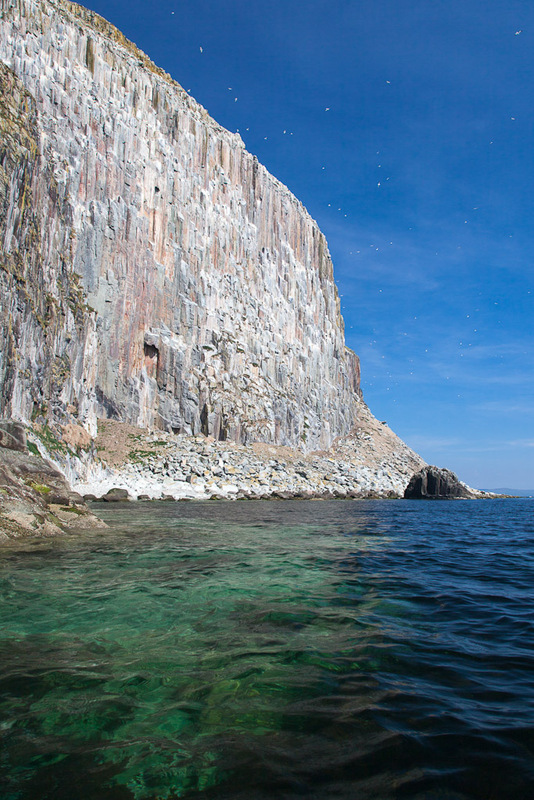 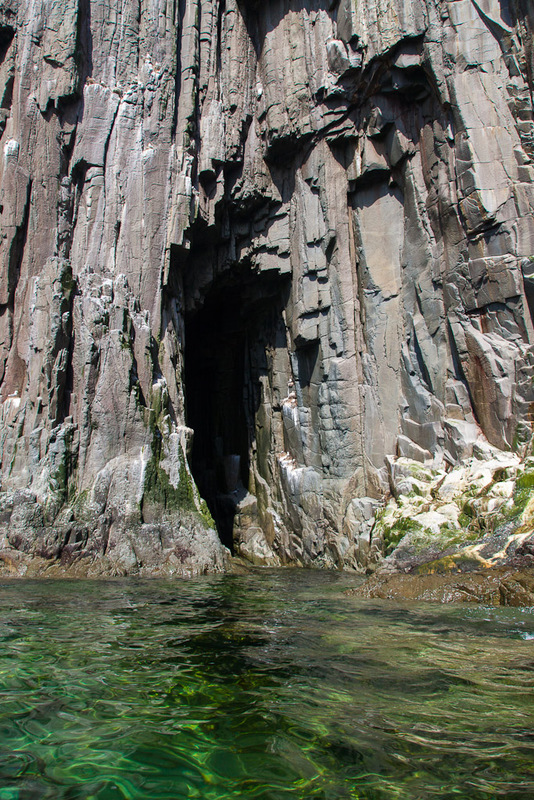 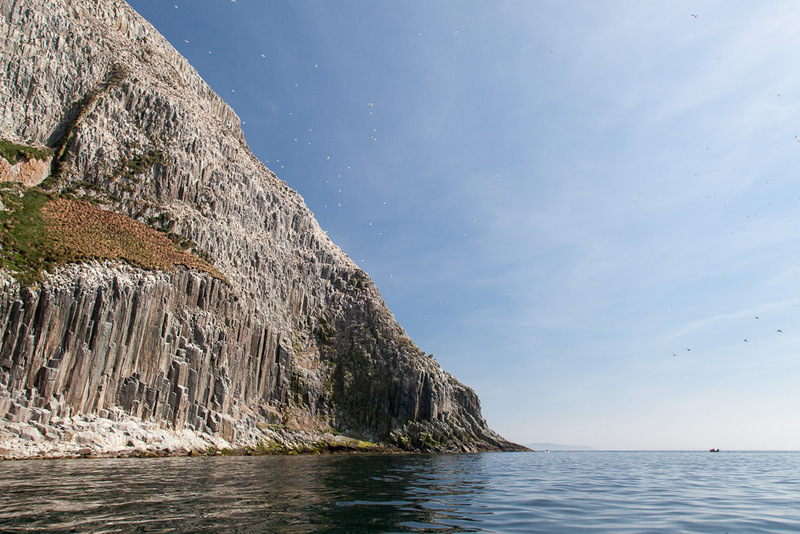 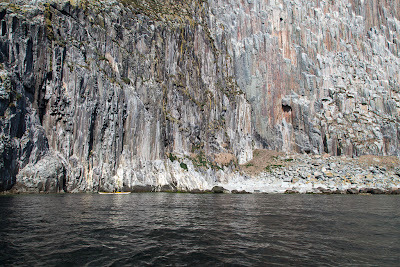 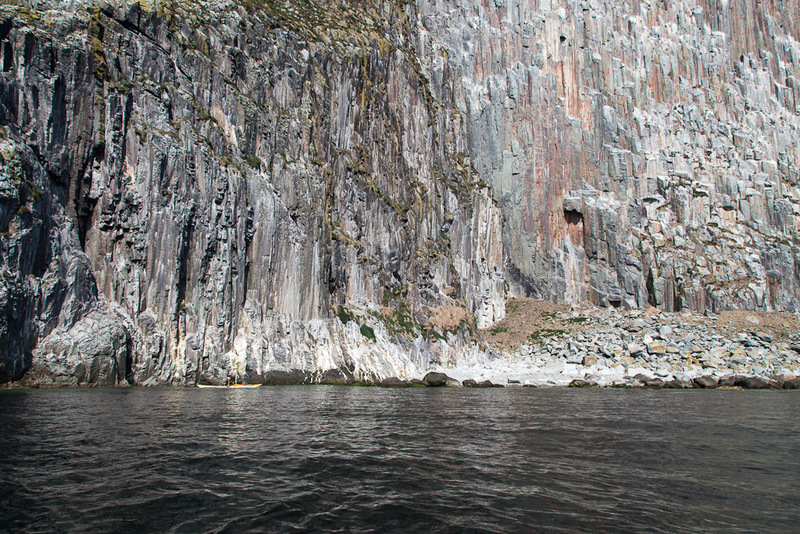 ...where we came to the Water Cave, which was guarded by nesting fulmars. 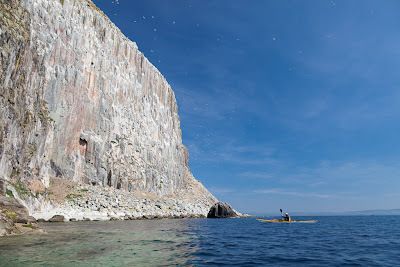 Rounding Stranny Point we came to the magnificent SW cliffs, which are called Kennedy's Nags. ...Little Ailsa were dwarfed by the scale of the cliffs.